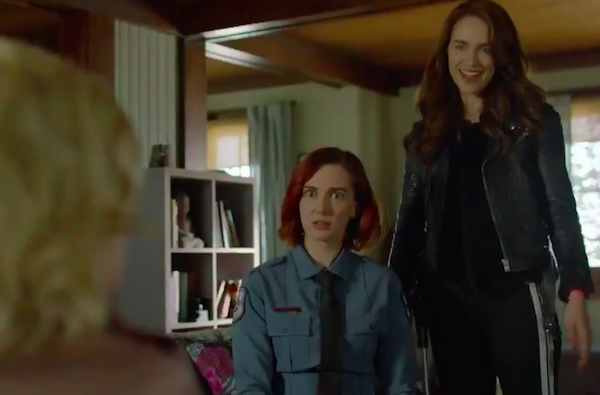 They cast a soft butch in leather jackets opposite a tough cop?! 1. Cameron Esposito debuted as Rosa’s girlfriend on Brooklyn Nine-Nine. 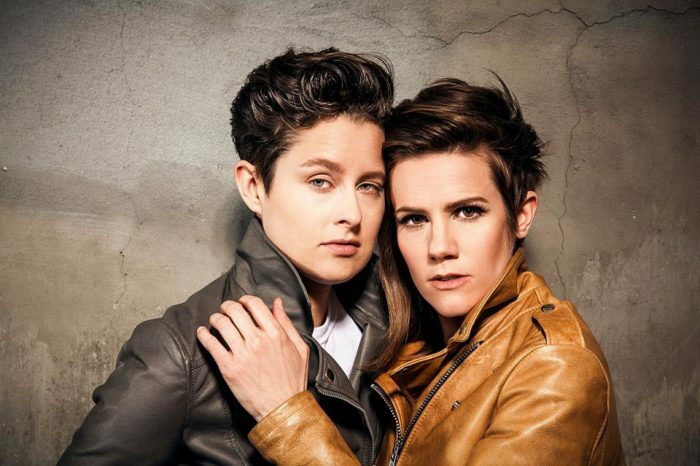 Fans of B99 got an extra treat on this week’s episide when openly gay actor and comedian Cameron Esposito appeared as Rosa’s new girlfriend, Jocelyn. Even Holt is thrilled. 2. The Gay Card by GirlshipTV is the game show we need. The brainchild of Amanda Holland, The Gay Card is a wild and silly new game show focused on trivia and challenges all about queer women. This week’s challenge? The Disobedience Spit Take. You’ll have to watch to find out more. 3. Riverdale takes on Heathers the Musical. I’m still mad that Heathers the Musical never made it to Broadway but it’s found a life of its own with regional productions, a very popular West End version, and now the CW’s Riverdale is tackling the show. Here’s one of the musical’s most powerful numbers, that is broken up into a duet between Jughead and Betty, Cherly and Toni. 4. Queer Eye fans fundraising to send Jess Guilbeaux to college. If you’ve seen this season of Queer Eye, then you know there is an episode with a remarkable young lesbian named Jess, who was thrown out of her home when she came out. Now fans of the show are throwing their support behind Jess and raising money to send her back to college. 5. Glennon Doyle and Abby Wambach continue to be adorable. These two are relationship goals.